Fall is here and with it comes all sorts of fun pumpkin activities for kids. 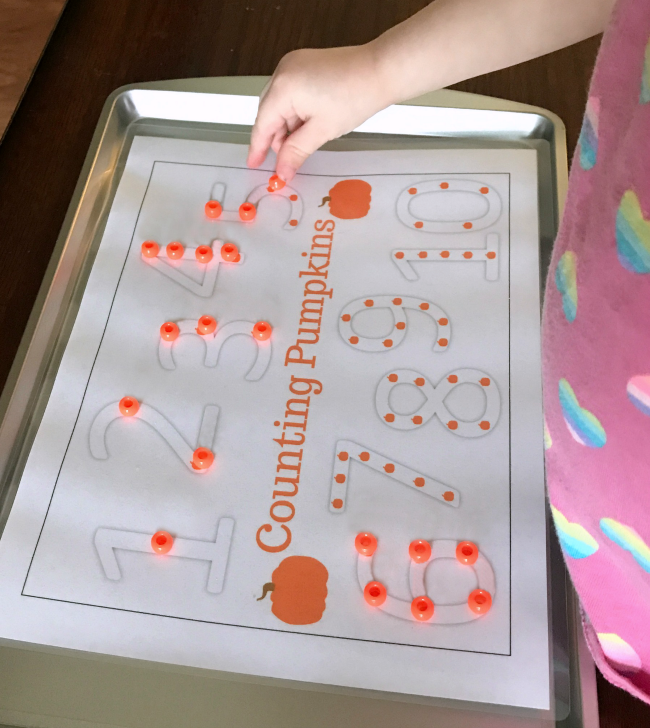 I was so excited to set out this printable pumpkin counting activity to encourage number recognition and practice one to one correspondence and fine motor skills with my preschooler. 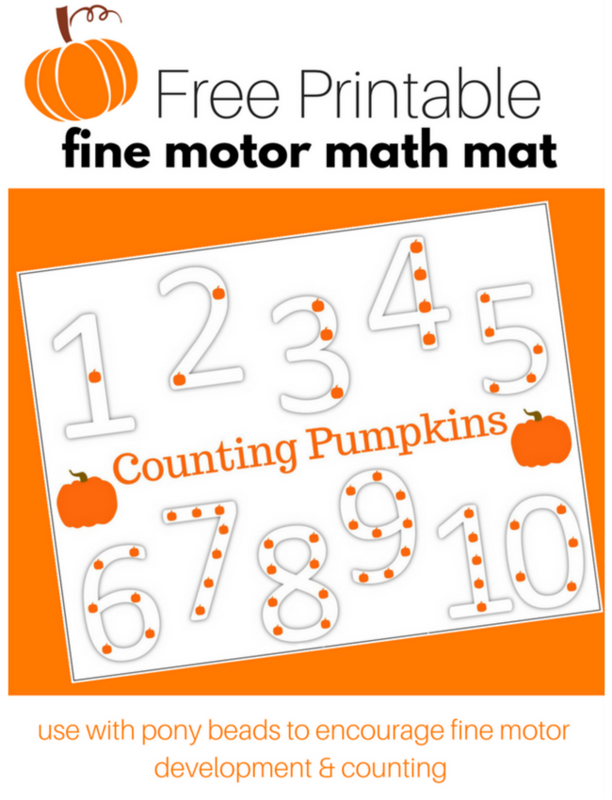 The only thing you need for this project is this free pumpkin counting printable and some sort of small, orange manipulatives. 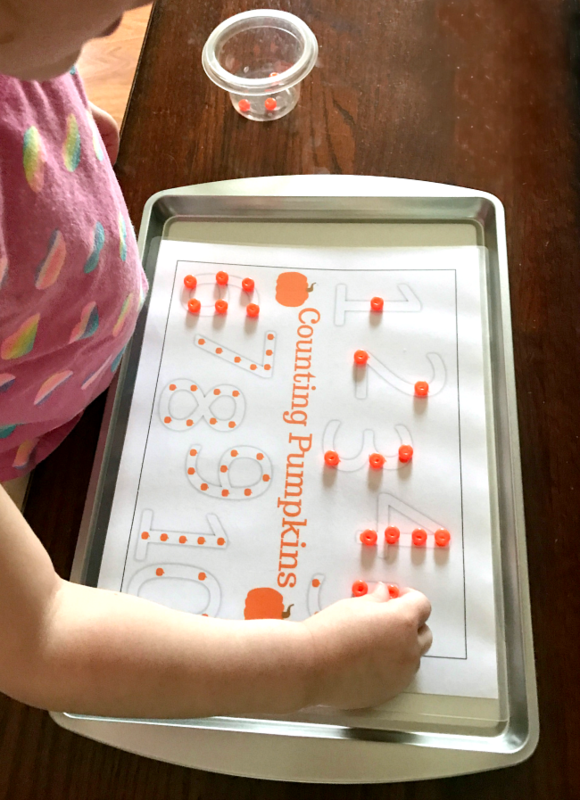 You can use mini orange craft pom poms, pony beads, pumpkin erasers, pumpkin seeds, or orange cereal”¦ So many possibilities! It mainly depends on what you have on hand and what material is appropriate for your child”™s developmental stage. I like to set up activities like this printable on small, cheap baking sheets from the dollar store. Not only does this allow me to set up several “invitations to learn and play” for my preschooler to choose from, it also aids in keeping smaller pieces from rolling away. The activity was left on the bench at our dining room table for my 3-year-old to find. It only took about 5 minutes for her to wander past. 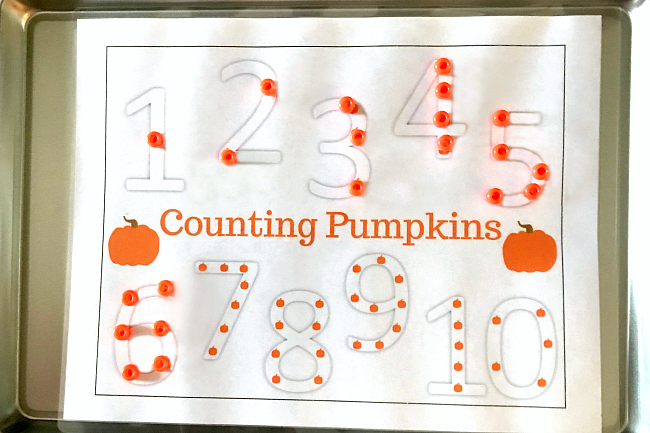 And then I was amazed”¦ She started taking out the pony beads from the bowl and placed them on the pumpkins in each number. After the beads had been placed on the numbers, we went over her “work”, noting each number and counting the beads. This reinforces one-to-one correspondence. That is, the child is not just rote counting via memorization. But rather, they are assigning value to each item. 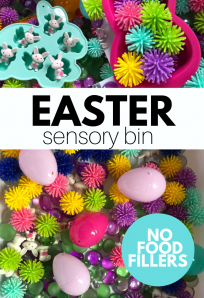 This activity is also great to help pre-writing children practice their pincher grasp. You can see this in the pic below. This is an activity that can be expanded in so many ways. 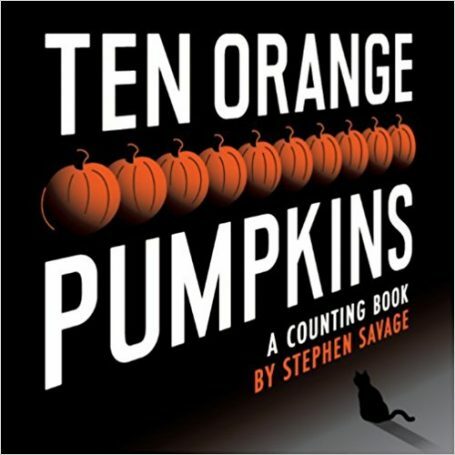 It would be complemented nicely by the 10 Little Pumpkins fingerplay or the book (affiliate link) Ten Orange Pumpkins: A Counting Book. 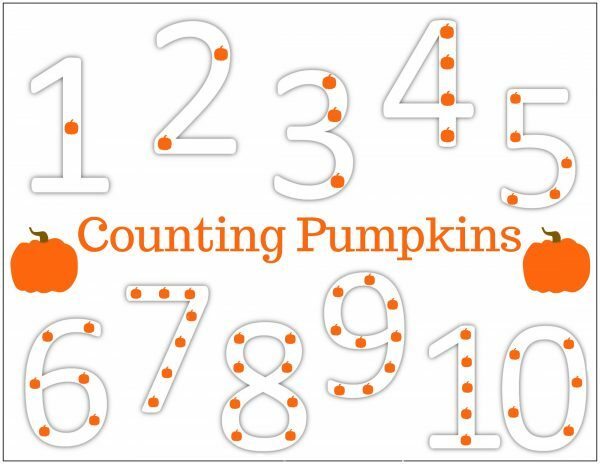 Or you can go to the pumpkin patch and count pumpkins. What really matters is that the emphasis is put on exploration and the fun that the fall season offers. Andie Jaye is a former preschool teacher turned stay-at-home mom of 3 kiddos. 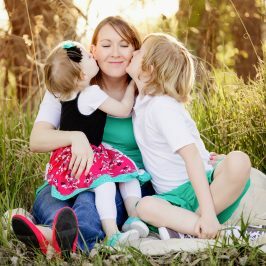 Her blog, Crayon Freckles , focuses on creative learning and play ideas, as well as parenting topics. Andie strives to be honest in her approach and experiences in parenting to let other moms know that they are not alone in their struggle. In her free time, she writes children”™s books in hopes of publishing someday.